Fueled by the explosive popularity of Mnet’s competition show “Produce 101,” -- which has produced sensational project K-pop acts I.O.I and Wanna -- major TV stations have been rushing to roll out similar programs. KBS2, an entertainment channel of one of the country’s largest state-owned terrestrial networks KBS, is preparing to launch a new competition show “The Unit,” which is scheduled to premiere on Saturday. 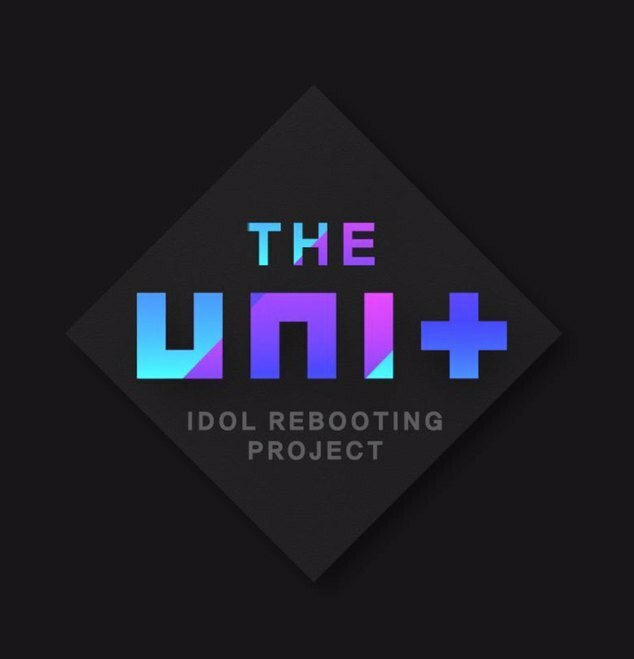 Following in the footsteps of Mnet’s “Stray Kids” and JTBC’s “Mix Nine,” “The Unit” brands itself as an “idol rebooting” star-search program featuring K-pop superstar hopefuls as well as current K-pop act members. The program intends to shed light on those current idol members who have yet to become household names, providing a huge opportunity to show off their hitherto undiscovered talent, according to the program organizers. K-pop acts including Yeoeun, Yoomin and Chahee of Melody Day, Yebin and Somyi of DIA, four members of boy band Boyfriend as well as three members of Laboum, will compete in the program. 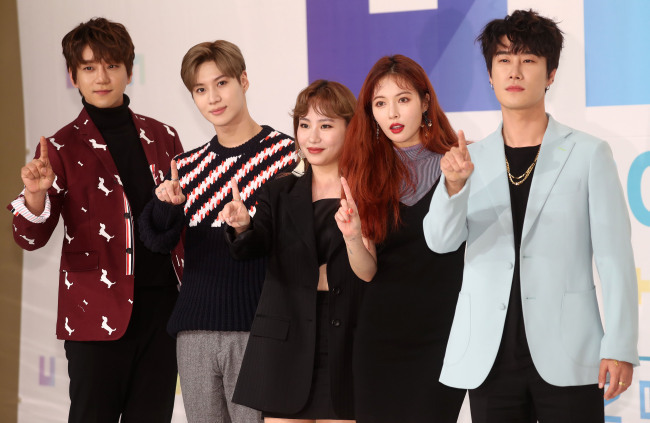 From left: Singer Hwang Chi-yeol, Taemin of SHINee, Jo Hyun-ah of R&B trio Urban Zakapa, HyunA and rapper SanE pose during a presentation for KBS’ upcoming audition program “The Unit” in Seoul on Wednesday. “’The Unit’ is about dreams and stories of youth. We are not saying that we will achieve their dreams, but KBS hopes to help those young aspirants to achieve their dreams,” said chief producer Han Kyung-chun, during a production presentation for the program in Seoul on Wednesday. From among the 126 contestants chosen during a three-day audition, 18 will be chosen by viewer votes to form a nine-member boy band and a nine-member girl band. The two teams will re-debut and embark on their group activities. The program boasts a star-studded lineup of mentors. Singer Rain, Hwang Chi-yeol, HyunA, Taemin of SHINee, rapper SanE and Jo Hyun-ah of R&B trio Urban Zakapa will mentor the contestants. Hwang and Jo will be in charge of vocal lessons, while Hwang plans to focus on helping them build self-confidence. “As a singer, I have also faced tough times in the past and endured them. I know how easy it is to lose one’s confidence in the process of achieving a goal,” Hwang said. Taemin said he wants to share practical tips such as how to act in front of camera and SanE, who is well-known for being funny, said he will make effort to lighten the mood among the contestants. Rain, who was not present at Wednesday‘s press conference due to the recent birth of his daughter with actress Kim Tae-hee, had previously said that he decided to appear in the show as he deeply emphasized with the program’s focus on opening a gate for artist wannabes to achieve their dreams, rather than merely ranking their talents. The upcoming 14-part show has already grabbed attention of many K-pop fans on social media, releasing music videos of two songs “My Turn,” recorded by all participants and “Last One,” featuring only male participants, earlier in October. Upcoming track “Shine,” featuring all female contestants, will be released on Friday. With Mnet currently airing JYP Entertainment’s survival show “Stray Kids,” through which its newest boy band is to debut, and JTBC set to feature YG Entertainment’s audition show “Mixnine” from Sunday, it remains to be seen how “The Unit” will set itself apart from other audition programs, present and past. Earlier in August, an alliance of music production companies made known its opposition to the relentless production of idol audition programs such as “Produce 101” and “The Unit,” maintaining that such programs signaled the expansion of broadcasting companies into the management industry. The association claimed that major broadcasting companies are already wielding power over music distribution and sales, music production and performances, and recently to management as well, resulting in a vertically integrated structure in which fair competition among entertainment agencies will be difficult.